Have you ever considered YOUR goals? I know it’s easy to judge people based on what we see (which is nothing much, at best) and what we assume is true about them. When you really think about it that way; how can we ever truly judge someone with the least bit of information at all? I know I’m guilty of this and have been working on UN-DOING it. Getting more information is always needed and not jumping to conclusions is the only way to stay true to our family, friends and community. I have gotten statements from people who see what I share on social media and form their own judgments from a picture and some words. Really? At first, this made me angry. But then I had to acknowledge how often I have done the same about other people throughout my life. And it’s truly unfair. Many have seen my workout clips, silly posts and rambling shares and assume I sit at home all day and just do what I please. I actually have to be quite vigilant with my time and energy and it’s not all roses and rainbows. (does that even happen??) As a Beachbody health and fitness coach; I work with hundreds of people on many different levels, goals and programs each month. I work with coaches who are striving to build up a business and reach goals that they know is possible but aren’t quite sure how to reach. 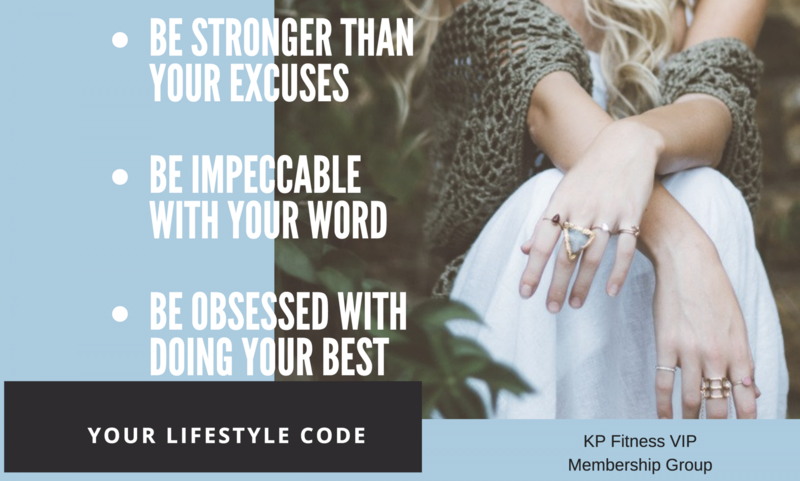 I figured I would share some of what works for me in terms of running a business at home; being consistent to my own health and fitness goals; and have the time and energy to be completely present for my family. Granted, our kids are not babies any longer but I have worked either from home or at a full-time job even when they were still babies. I get what time crunched schedules look and feel like. I understand the fact of having to make ends meet financially and feeling like there is no hope for growth or moving ahead in life. We believe we are stuck…and that is where we will sit. The secret to success in any area starts simply, in believing that we are capable of reaching those goals. Goals work the same in any situation. If I want to lose weight or drop some body fat; I have to commit to my daily plans of working out, eating on program and getting in all of my supplements every day in order to reach those goals…one step at a time. Nothing happens instantly. We have to be persistent and we have to be committed to the daily to-do’s as much as the outcome. If I want to succeed in my business, I must make sacrifices; have a plan of success; track my work and be consistent to these even when I feel it isn’t “paying off” at first. I see too many coaches who work feverishly towards a goal and when the results don’t show up right away…they slow down and start to doubt their abilities. But we all have the same abilities. Think about it…if someone has reached a goal that you are working towards; you have the exact same capability of reaching that goal too. It must be something we believe to be attainable and worthwhile to our own lives. Would working from home; having freedom to plan out your day’s calendar; your goals and your financial goals be of interest to you? I have many people tell me “YES! !” and then when the first sign of disappointments or “work” show up…the proof speaks for itself. I see the truly committed diving in and getting the work done…while the rest only fly through for a short period of time. This really feels disappointing to me..as my goal is to help anyone and everyone who says they want success reach it. But it is not up to me. Kind of like my adult kids now. I can help guide them to a point and then, it’s ultimately up to them to either keep moving towards a goal or give up on them. As we move toward the new year, I am committed to finding the most dedicated women to lead their own businesses and goals alongside me and the coaches I’m working with now. We are a great support group that is committed to doing the best for each other along the way. I was a mess when I first started as a coach and didn’t set up the time needed to run a successful business at the start. For this reason, I spun my wheels for much too long and after learning what works and what to let to of altogether, I now focus on sharing the best tips, tools and strategies with my coaches and team so they don’t ever repeat my previous bad practices. KEEP IN MIND… This training camp is designed for anyone who is working a Full-time job so it is done at a “work your own pace” style. The goals is to complete the training in 10 days at a time and be able to choose whether to continue with the second 10 day training camp for more info on Social Media and more. The more consistent you are with this (or anything else for that matter), the easier the business will be for you. Inviting is the secret sauce to this business. The more that you invite the better you become at the skill and the more efficient you are at making the connection with others. Be a product of the product. What workout are you doing and sharing with others? What is your favorite shakeology flavor? Do your personal development daily. This has changed my life in more ways than I have time to share. Previous postI see carbs…carbs EVERYWHERE!!! Hey KathyPro! 😉 I really liked this post and I agree with you that some people really don’t realise that they’re only seeing a small snippet of your life. In fact, I used to be like that. I used to watch motivational videos and be super pumped to start working out… And to give up a few minutes later, to my disappointment. Because life doesn’t happen in montages, success doesn’t happen in a few minutes or an hour. It can take weeks, months, years or sometimes even your whole lifetime. I’m a new personal development blogger on WordPress.